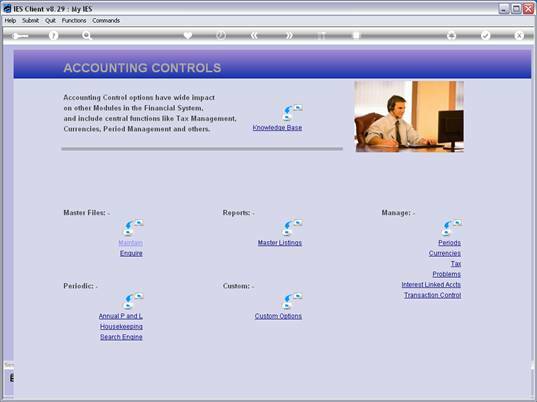 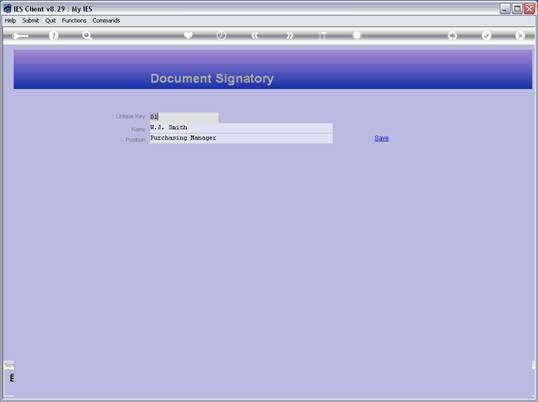 Slide notes: At the Master Files menu in Accounting Controls we find an option to maintain Document Signatories. 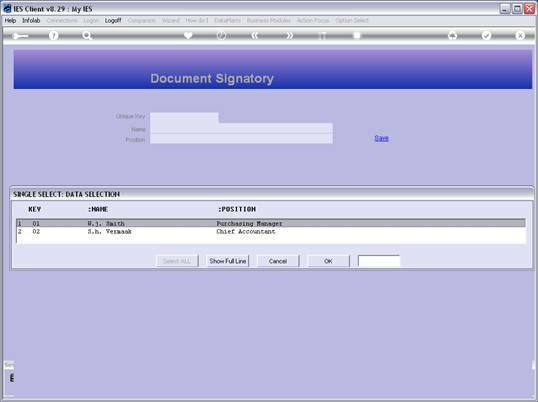 Slide notes: The use of Document Signatories is entirely optional, but if we use them then they can be offered as a choice for the User to select when producing certain Document Types, for example Retail Invoices, Credit Notes, Quotations, etc. 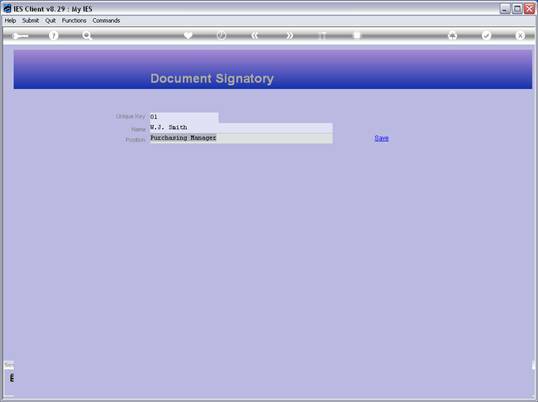 Slide notes: A Document Signatory has a short key, a Name and a Job Position. 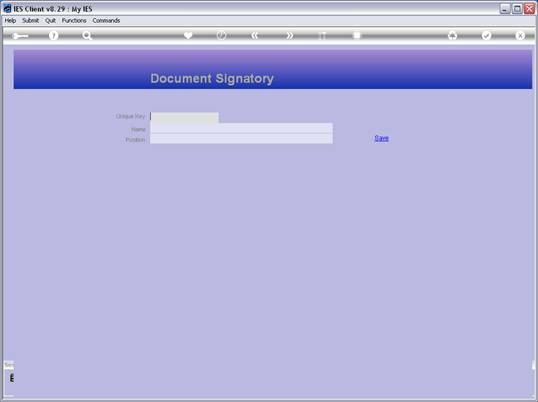 The Name and Position are printed on selected Documents.